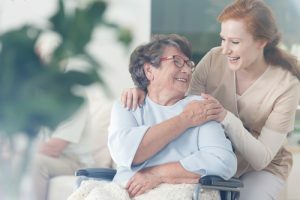 Can Home Health Care Reduce Cost? “Although the initial impetus for establishing home health care was charitable, the Metropolitan Life Insurance Company (MetLife) discovered that by providing home health care, it could prolong life while collecting premiums and abstaining from death benefit payments. Yet the model experienced a requisite shift in focus in the 1920s stemming from a decrease in contagious diseases coupled with the proliferation of chronic illnesses, such as heart disease, diabetes, and stroke (Buhler-Wilkerson, 2007). MetLife and other insurers found that providing more care did not improve outcomes and sought to limit visits and eliminate the type of personal services offered. Ultimately, MetLife discontinued home nursing services, determining it unprofitable (Buhler-Wilkerson, 2007). The argument in favor of funding home health care for the chronically ill parallels the argument supporters of much more preventive care make. They both state the home health care/preventive care is an investment that reduces costs in other settings, but both have little evidence to document these savings in most cases. Additionally, it is hard to contain cost when providers have an incentive to manipulate the system to maximize profits. For instance, there is evidence of significant levels of upcoding. According to one study, “92% of the case-mix increase since the HH PPS began resulted from changes in coding practices and documenting existing conditions rather than increased service utilization or more resource-intensive patients.” Further, “MedPAC has noted that therapy visits were the most important factor in the growth of home health episodes; growth trends directly reflected distortions associated with therapy payment thresholds.” Another study found that the level of service provided to the patients did not vary significantly, underlining the point that home care agency services are not responding to variances in patient health but to the reimbursement system itself. 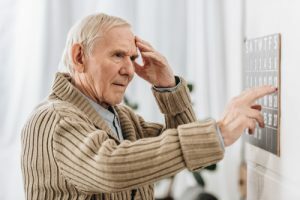 Further, VNAA finds that many home health agencies have engaged in fraudulent activities such as: billing Medicare for home care services not provided, inducing referral sources; encouraging patients to ask for unnecessary care; encouraging admissions of patients with the lowest care needs (including limiting or providing inadequate care to patients with lower payment potential), and billing for unnecessary services. Further, regional variation home health agencies treatment patterns causes significant variation in the price of care. For instance, average home health cost in North Dakota was $2,396 versus $7,761 in Nevada. Overall, Medicare paid $16.9 billion for home health services in 2008. These payments covered 117.8 visits: 55% for skilled nursing, 18% for home health aides, and 26% for therapy (physical, occupational, and speech-language), averaging $5,337 per episode). Judy Goldberg Dey, Ph.D, Margaret Johnson, MBA William Pajerowski, Myra Tanamor, MPP, Alyson Ward, RN, MPH. Home Health Study Report: Literature Review. L&M Policy Research, LLC, HHSM-500-2010-00072C, January 11, 2001.